Exclusively producted from fresh juice of sugar cane, from fractional distillation in small batch. This slow process guarantees a very aromatic and fruity nose with floral and citrus notes. At the tasting, it reveals a round and soft flavour with tonic final note. Eau de vie made with sugar cane « Aguardente de Cana » made exclusively in Brazil. 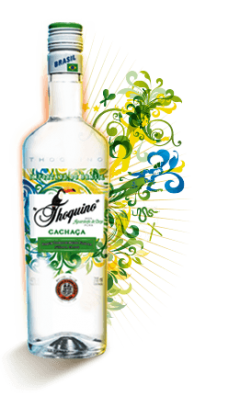 Thoquino Cachaça (40°) is made by fermentation and distillation of fresh sugar cane juice . 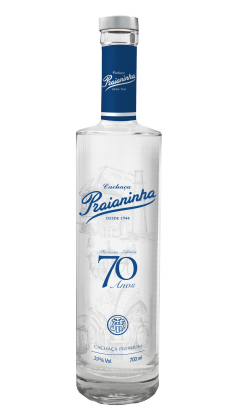 Even if the manufacturing process is similar to rum, this cachaça is different from other rums due to its slightly smoky taste. 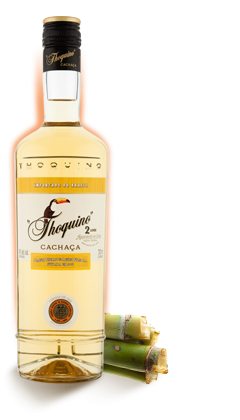 Thoquino Cachaça (40°) spends two years in Jetiquiba barrels, a Brazilian exotic wood, this aging gives rounder, fruity, woody notes to the drink. 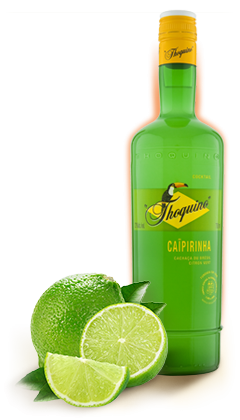 Caïpirinha Thoquino (18°) is made with lime juice, sugar cane and Thoquino Cachaça, with no colouring, conserving agents or citric acid. 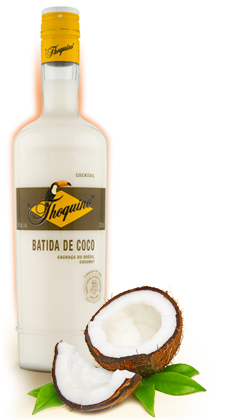 Batida de Coco Thoquino (16°) is made from coconut extract and Thoquino Cachaça. Ready to drink, rich in flavour, elegant on the palate, whilst being light in the mouth, best drunk in a long glass filled with crushed ice or on the rocks.